Experimental archaeology is an activity in which archaeologists try to re-create or re-enact past technologies or cultures in order to help understand them. 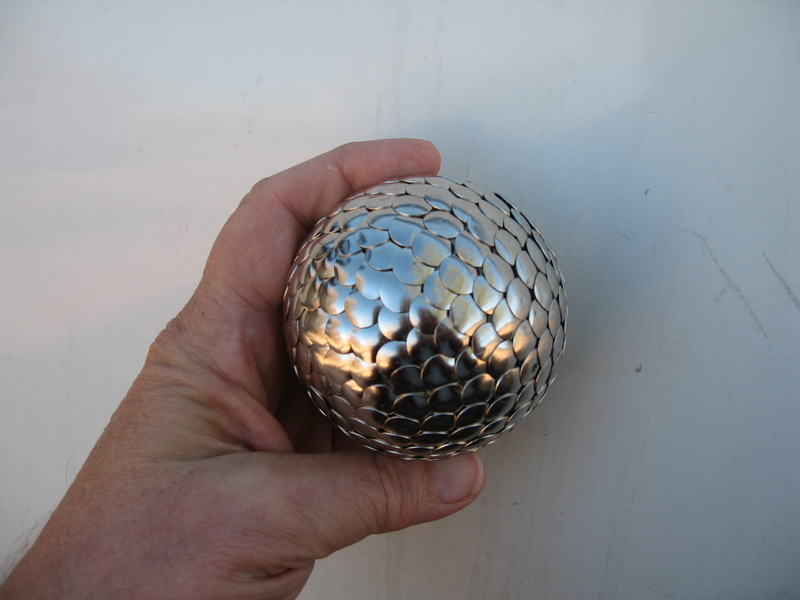 In that spirit I decided to try to re-create a nailed boule, a boule cloutée. 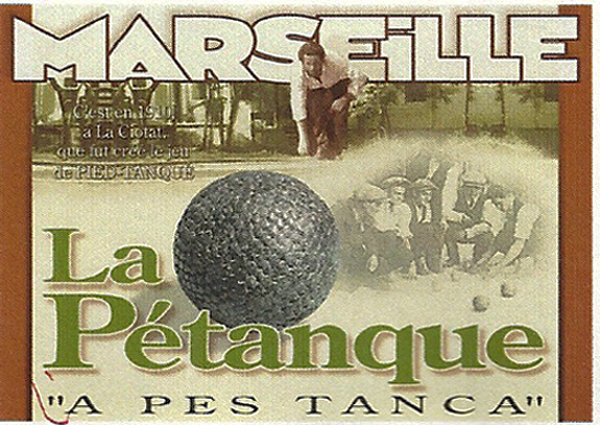 Q: What is the origin of the word “pétanque” (French) or “petanca” (Spanish)? 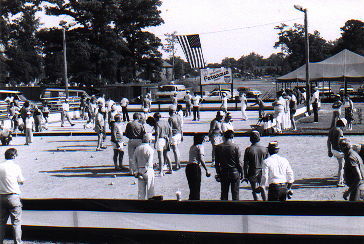 A: Two Occitan words meaning “feet” and “planted” were transliterated into French and then collapsed into the single French word “pétanque”. Occitan (pronounced oksitan) is the old pre-French language of Provençe. Like French, Italian, and Spanish, Occitan is a “romance language” — a language descended from the language of the ancient Romans who occupied southern France and Spain for many centuries. Provençal is one of the six major dialects of Occitan. Occitan’s closest relative is Catalan, the language of Catalonia, the north-eastern Spanish province. Occitan is not French, but the two languages are related through their Roman ancestry. In some cases, an Occitan word will resemble its French counterpart, and (thanks to the Norman Conquest) sometimes resemble a related English word. The Occitan word pèd (foot), for example, is related to the French word pied (foot) and such English words as “pedal”, “pedestrian”, and “podiatrist”. 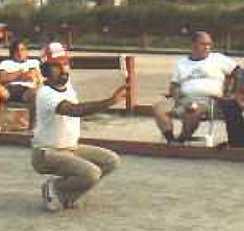 As I say, we know that two Occitan words were run together to create the word pétanque. The first word was pès or pés which meant “feet”. The second word was something like tanca, tanco, tancats, tanqués. Some sources say that this word meant “together” or “tied together” while others say that it meant “planted”, “fixed”, or “anchored”. 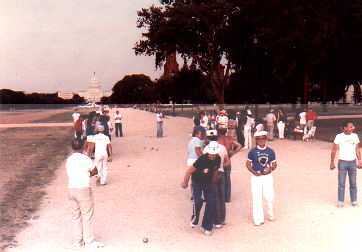 A definitive answer can be found in a Petanque America blog entry by Philippe Boets. Here is my lightly edited copy of that post. 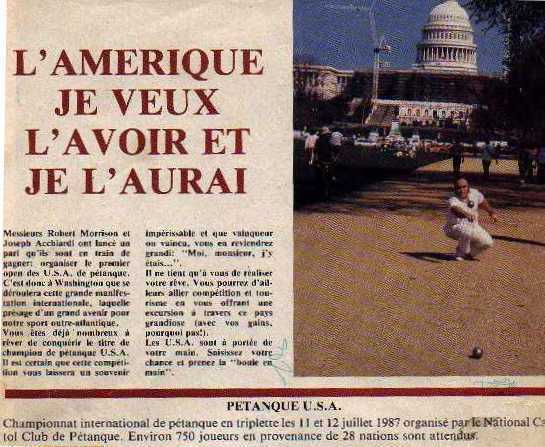 The May, 2009 issue of France Today magazine lists a number of typical Provence terms, and of course “pétanque” is one of them. I’m so glad they use the term “feet fixed”, as opposed to “feet together”. 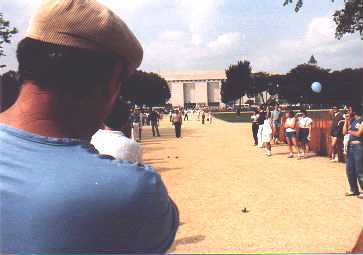 Too many people think that your feet have to be glued together when you throw. “tanca” is an old Provençal term meaning “blocked” or “fixed”. In todays’ Catalan, closely related to Provençal, the verb “tancar” is still used in that sense, and more generally as a term for “to close”. Because when you “block” an entrance or “fix” a window, you prevent further use, and actually “close” it. It evolved into French as “tanquer” (“-er” being the common ending for a verb), also as a reflexive verb “se tanquer” meaning “to get stuck”, hence “to be stuck”. 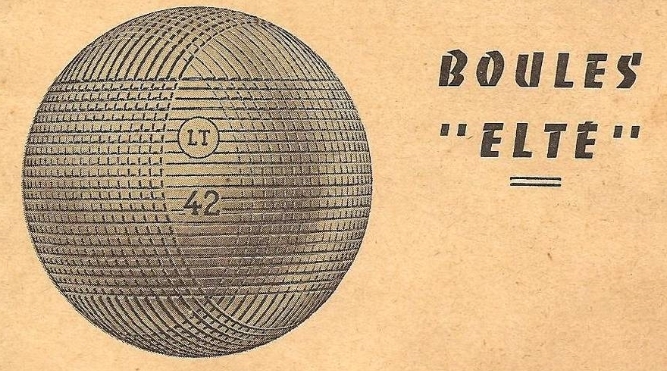 The idea of standing still (or “being stuck”) when throwing a boule was quite revolutionary in 1907. 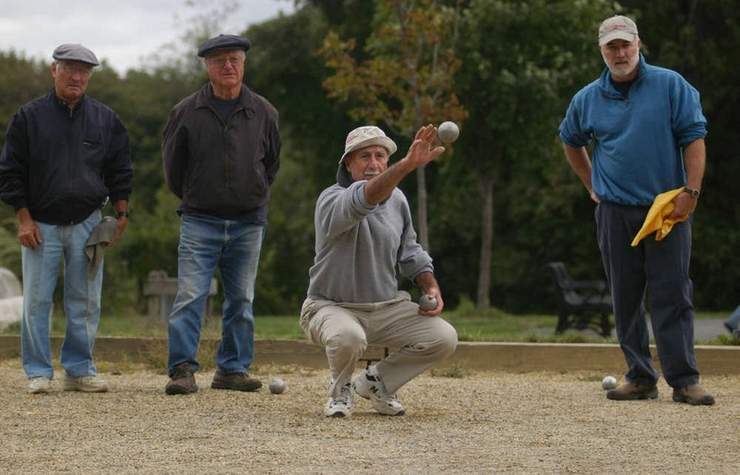 For centuries folks had been running, jumping, you name it, when throwing boules. Imagine telling a javelin thrower today that there’s no more run-up. A lot of people still think that “tanca” means “together”. 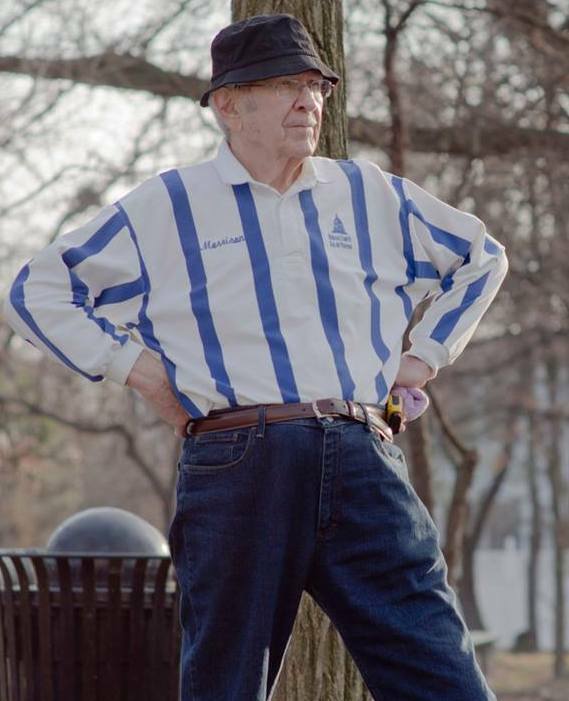 No one cares how close together your feet are, as long as they’re immobile, and — when it comes to formal competitions — fit in the regulation 50cm (20″) diameter circle. 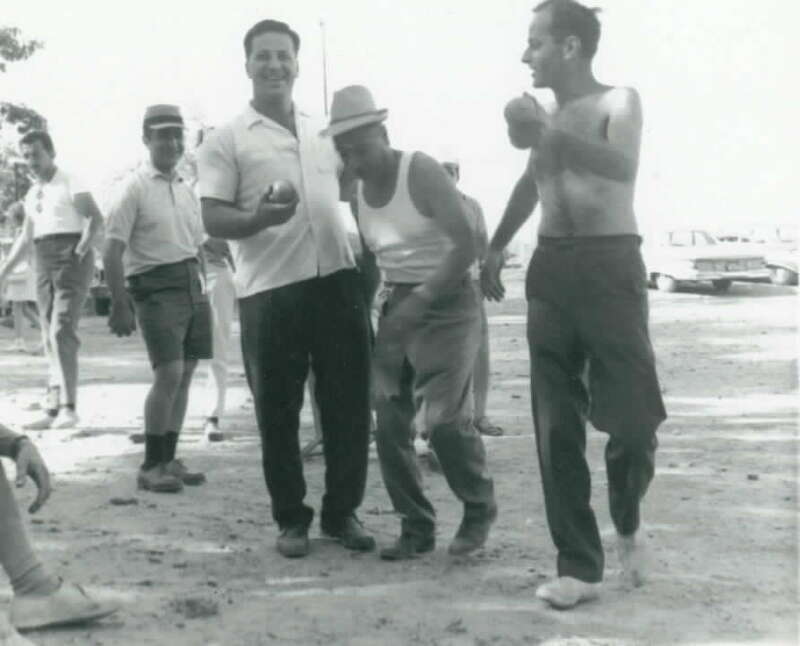 So the bottom line is that the ultimate origin of the word “petanque” is the Occitan words “pés tanca” which mean, basically, “feet planted (firmly on the ground)”. 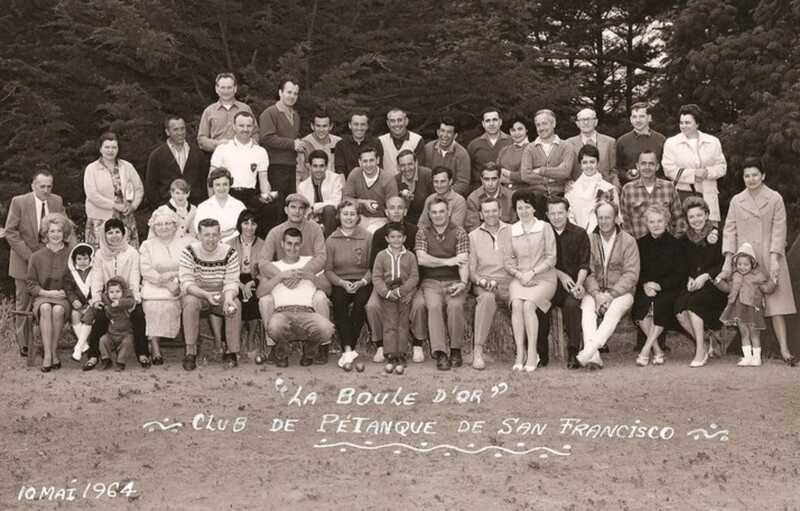 Entre 1950 et 1960, naissent les premières « stars » de la pétanque. Cette dernière prend son essor sous l’impulsion d’Alphonse Baldi, dit « Le Bombardier Toulonnais », de François Bezza dit « Besse » et du fameux Ange Arcolao, dit « Bébert de Cagnes ». Ce dernier est d’ailleurs le premier à avoir une carrière de plusieurs décennies. 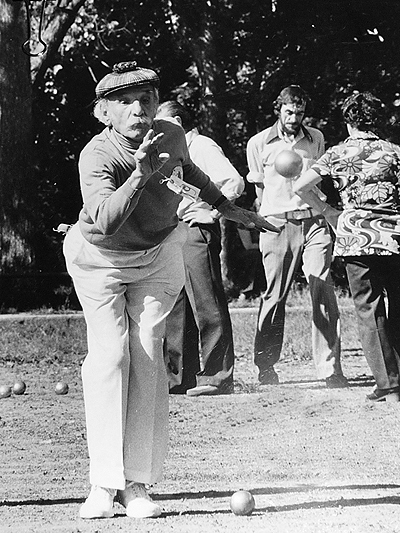 According to legend, Jules le Noir — who was the inspiration for the invention of petanque — was actually named Jules Hugues. 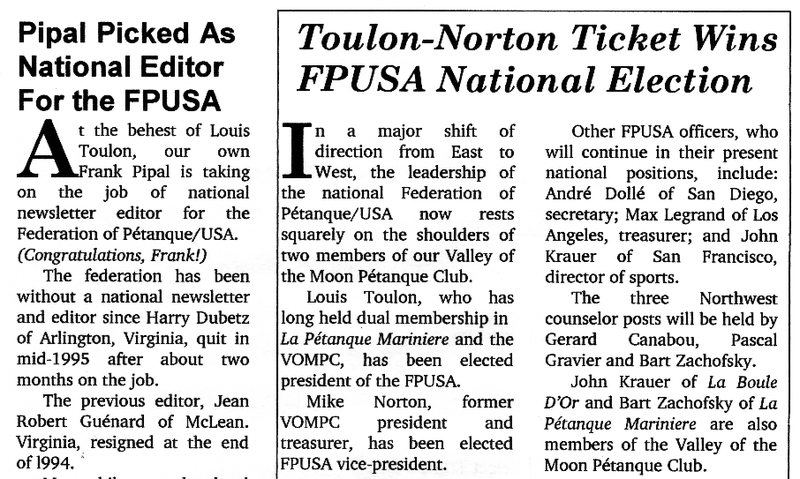 “le Noir” was a nickname. 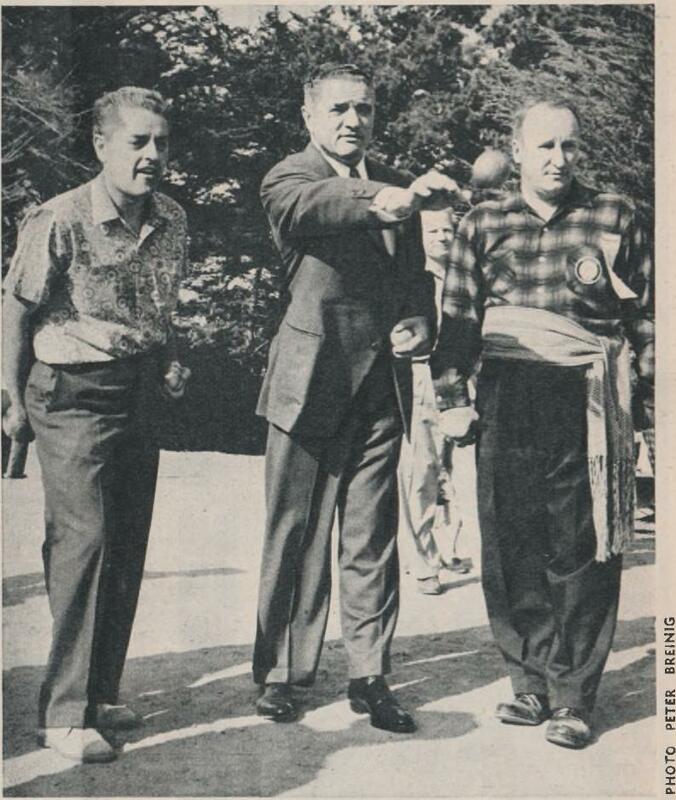 Nicknames used to be a big thing in boules. 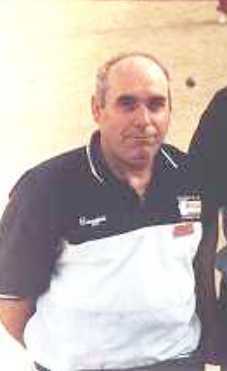 In most provençal villages, there would be a man known as Le Pendule (presumably for his regular arm swing) or Le Vieux (presumably as he’s been playing longer than anyone can remember) who was undefeated for over a decade and is still talked about by the locals. 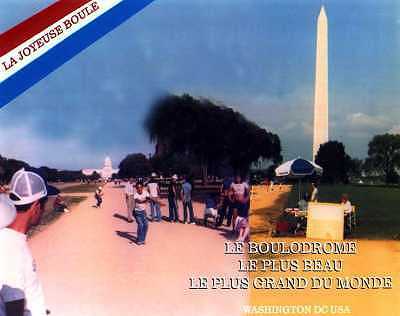 Armand Vidal, who has written a dictionary of boule terms, laments the loss of the nickname. He writes that in the final of the Provençal tournament in 1909, all six men carried an official nickname — there was Le Blond, Petit Paul, Parpelet, Le Mecanicien. By 1931, only three of the six finalists had a recognizable sobriquet, and by 1976 only one finalist — so-called Bambi — was so distinguished. Is the game getting more serious? Is too much money involved? 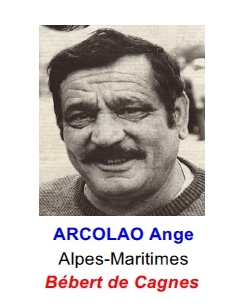 Has the pace of life changed so much that there’s no impetus to label someone as anything but their own surname? 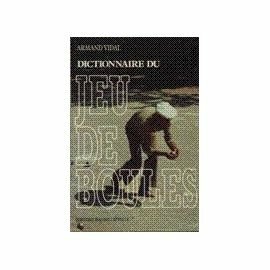 Vidal’s book is Dictionnaire du jeu de boules: Tel qu’on le parle en Provence (Jeanne Laffitte, 1999) — toutes les expressions provençales du jeu de boules (boule provençale et pétanque), avec un index. For more information about nicknames, see this and the last few pages of this.